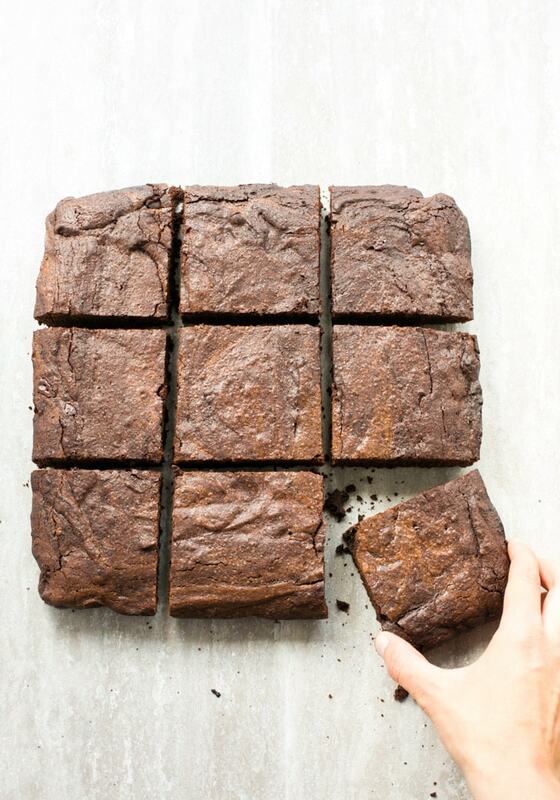 These melt-in-your-mouth chocolatey fudgy Espresso Brownies are incredibly soft and rich - Sure to satisfy your dessert cravings in a bite. Preheat the oven to 175C/350F and line with parchment paper a 9x13 inch pan. Set the oven rack to the middle shelf. Stir in the eggs and give it a nice mix. Add in the flour, cocoa powder, ground coffee, chocolate chips and a pinch of salt, and give it a quick mix, until all ingredients are combined. Transfer the mixture into the prepared pan and spread it evenly. Bake for 30 min, then insert a toothpick into the center of the pan. If it comes out wet, the brownies are not done, if it's just slightly wet, the brownies are done. Remove from the oven and allow to cool on a wire rack, then cut into squares and serve.